Find the GMC Yukon/XL/Denali Euro Headlights you are looking for at K2 Motor. All Euro Headlights Purchases include free Shipping within the US. 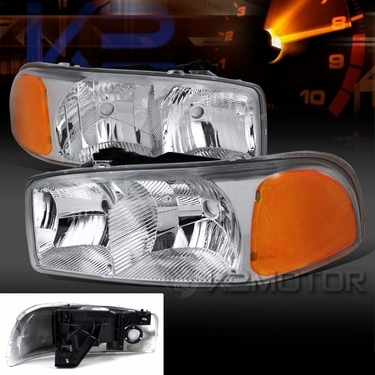 Product: 00-06 GMC Yukon/XL/Denali Euro Headlights. Descriptions: Replace your old fogged up and damaged OEM GMC Yukon/XL/Denali headlights with our stunning new headlights set. 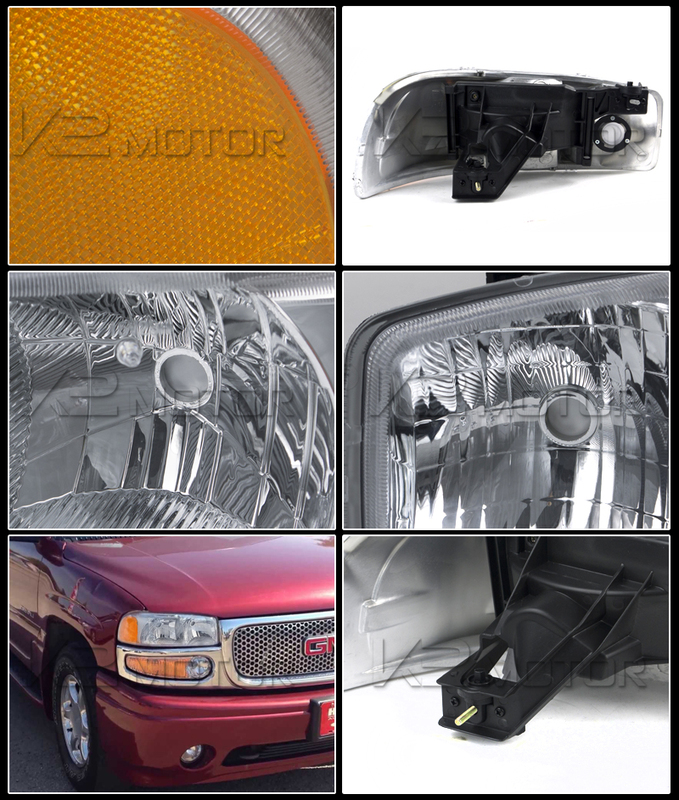 These stylish and durable headlights add the perfect touch to any GMC Yukon/XL/Denali with its aftermarket design. Our headlights put out the same amount of light as the OEM lights if not more. A subtle look combined with specificially engineered and angled reflective surfaces make for some nice looks on your Yukon/XL/Denali.